The days when the Premier League was broadcasted on free TV channels are history. Find out how you can watch Premier League online in the 2018-19 season. Unfortunately, there will only be pay-TV channels broadcasting the Premier League in the upcoming season. As a consequence, you will need to subscribe to a pay-TV channel, in order to watch the Premier League online with a high-quality stream. To get such a subscription, you will need to spend some money. But, it is not the same how much money you spend. 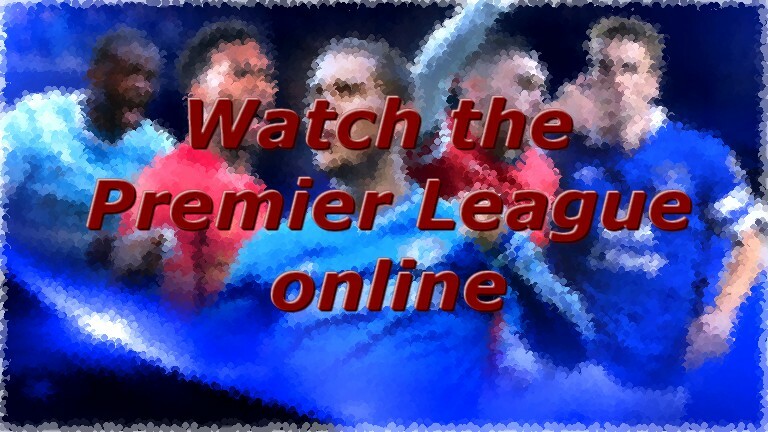 And since you are reading this article in English, it might be that you would prefer to watch Premier League online with English commentators, so read on, and find out how to watch Premier League online all across the world. In the bottom of the article you will find information on who has broadcasting rights to Premier League in lots of different nations! To watch Premier League matches online you will in general need two things. The first and foremost is that you will need a subscription to a TV channel that actually broadcasts from the Premier League. Maybe we scared you of saying that you need this, but if you want to watch and enjoy Premier League matches online without spam, junk commercials, pop-ups and terrible websites, but want high quality that can be trusted so that you can watch your favorite Premier League team play online, then you will need such a subscription. Would you like to watch the live streams from all the Premier League matches with English commentators? The cheapest way to do so is by streaming the matches on Hotstar in India. It might sound strange and scary, but it works great and it will give you the chance to watch all the matches for a small percentage of the price you would pay elsewhere. This has recently been tested and it works in 2019, so click the link beneath to find out more about how it works and how you can stream Premier League on Hotstar in India. The very best way to stream football online is on Fubo TV. This is an American provider that gives you access to the English Premier League, but also English Championship. In addition to these leagues, you can also stream La Liga in Spain on Fubo TV, Ligue 1 in France, German Bundesliga, Italian Serie A, and of course the Champions League and the Europe League. For more information on how to stream Fubo TV outside the US, click the link. You can also read a detailed Fubo TV review with screenshots and information right here. Let us say that you want to watch Premier League at the channel best at showing it, Sky Sports in the UK. To watch SKY Sports online you will need a subscription to the channel, and if you are located outside the UK you will also need to get yourself a UK IP address. Notice that it is not enough with an actual subscription to the channel, you will also need an IP address in the nation in which the TV channel you subscribe to is located. Read our article on watching SKY Sports online for exact information on how to sign up and how to watch SKY Sports online from abroad. Unfortunately, SKY Sports is very expensive, so a subscription valid only for online use where Premier League is included costs £35 a month. Of course you get a brilliant product, but still quite expensive. If you want an option that is somewhat cheaper as you want to watch Premier League online, read on! If you want to watch Premier League on Sky Sports, you can also do so with a subscription to NOW TV. Read more about how that works here. This is our recommended method if you want to watch Sky Sports online. Not all matches will be shown on Sky Sports/NOW TV, as some matches will be shown on BT Sport. More information about how to watch BT Sport in the UK from abroad here. Who has the broadcasting rights for Premier League 2018/2019? Here you can see a list of what TV channels have the broadcasting rights to show Premier League matches live in 2018/2019. Not all nations are included, but some of the nations we believe to be the most important and popular nations can be found on the list. For more information on how you can watch other football leagues and big events online, check this article. ← Premier League 2017-18 coming up! Glad to have all these instructions ready, so that I can be ready for Arsenal – Everton on August 11th in 2017! I think I will go for Fubo TV, seems to be a perfect solution if you want to stream lots of football, and believe me, I do! Go Gunners! By the way, can I sign up for Fubo TV without an American VISA Card? Is it enough to use my VISA card from a European bank? Yes, I just gave it a try with a normal MasterCard issued from a European bank, and I had no trouble at all paying for Fubo TV. You will in other words NOT need a payment card issued by a US bank in order to sign up for Fubo TV. I am surprised, but Fubo TV really works well and it is a brilliant service considering all the leagues and tournaments you get to watch. The fact that they also give you a free trial period makes it easy to try and test. I will stay with Fubo TV after the trial as well, this looks good!